For shop size 400 to 1,200 sq ft, depending on insulation and other factors. Not for indoor residential use. Because it is a kit, this heater is not UL approved. Want to work in your garage this winter? 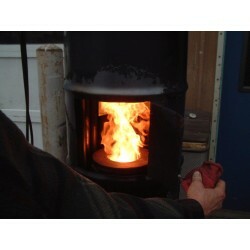 The smallest member of the family is the BabyBurn, sipping oil to keep your 400 - 1,200 square feet space toasty warm. Heated air is directed into the room from the bottom of the heater. You can rotate the discharge air plenum to blow the heated air in any direction. The oil reservoir can sit beneath the heater to conserve shop space. 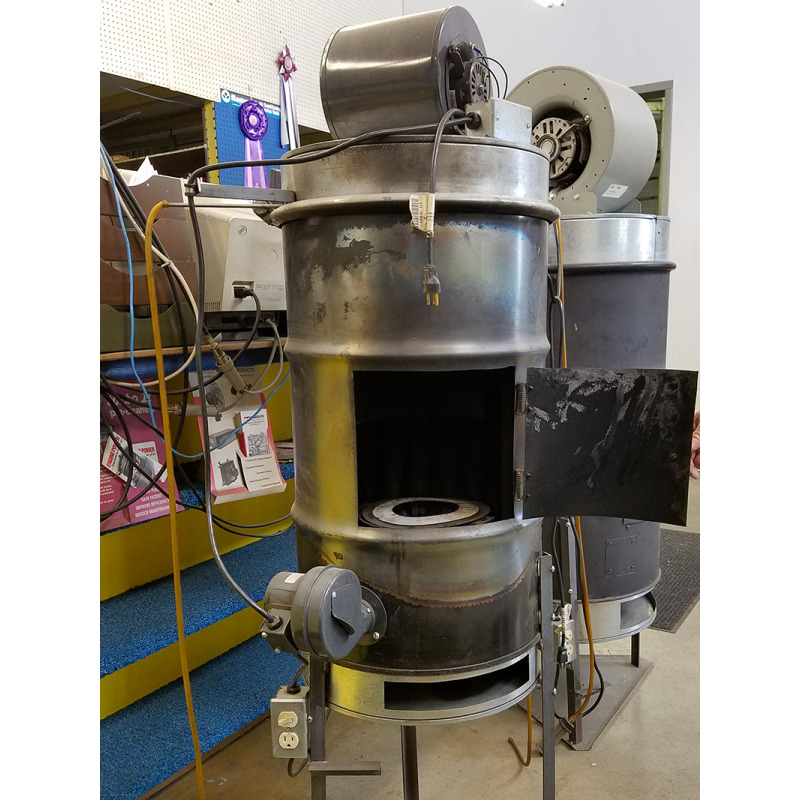 Everything you need is included in this kit: 30 gallon barrel, 21 heat exchanger tubes, 450 cfm heat exchanger blower, oil pump assembly with speed control, combustion air blower, combustion chamber, air box, air plenums for top and bottom of barrel, legs, baffle plate, 6” 90 degree elbow for flue, suction strainer, gasketing, all small hardware required, and detailed assembly instructions. • You supply: just the oil reservoir (a bucket or larger) and 6” flue pipe. To start, preheat the combustion chamber with 1/4 to 1/3 cup of kerosene or diesel and wadded up newspaper. This will get it hot enough so the oil will start vaporizing and burn by itself. 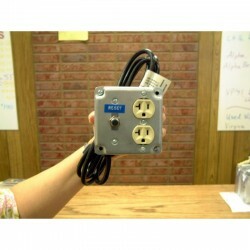 It will run continuously at the heat output you set with the speed control on the pump. Clean out the combustion chamber daily. This heater is not thermostatically controlled and is not intended to be run unattended. Drill 21 1.” holes in top and bottom of barrel for heat exchanger tubes. A hole saw is provided. Cut a flue hole near the top of the barrel. Cut a square hole for the door in the side of barrel. Cut or drill a 2” hole in side of barrel for the combustion air pipe. The remainder of the assembly is mainly marking and drilling holes for screws and attaching the supplied parts. No welding is required. Clear, step-by-step assembly instructions with pictures are provided. 8 - 12 hours assembly time.